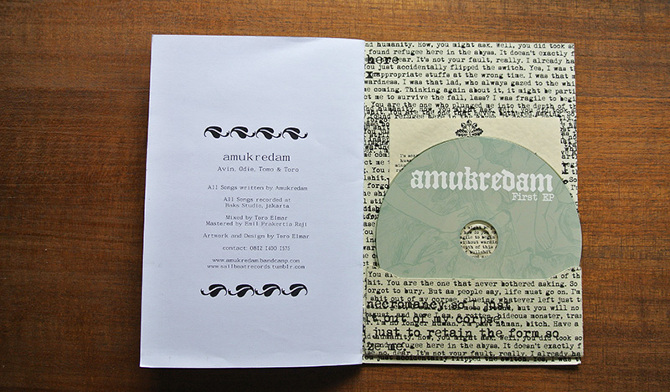 Amukredam is my band, which is become my main focus on music since 2011, and this is Amukredam’s first EP, released by Sailboat Records. Many people asked me about the cover, actually it’s just my interpretation of what “Amukredam” means, Amuk= Anger, Chaos, and Fury, Redam= Faint. The Wolf represent “Amuk” and the Human represent “Redam”. 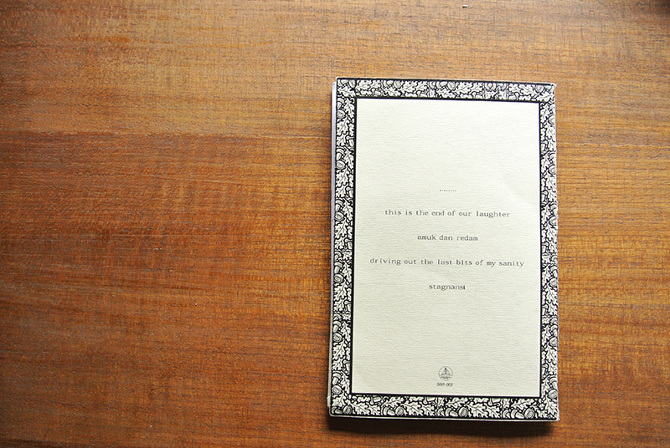 The packaging is Zine-alike, or a booklet, so it’s like a storybook with the CD insert in the back page. 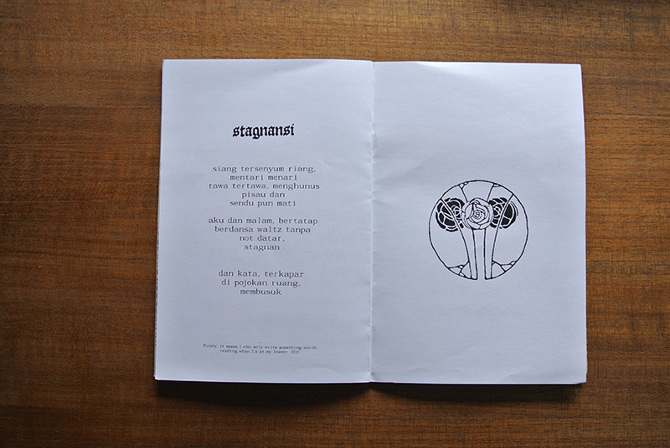 chosen by Alphabetajournal as one of the best Indonesian music CD Packaging in 2012 (alphabetajournal.com/best-local-packaging-album-2012/).